We’re back for the 4th annual Run & Ride at Valleyfair Amusement Park! 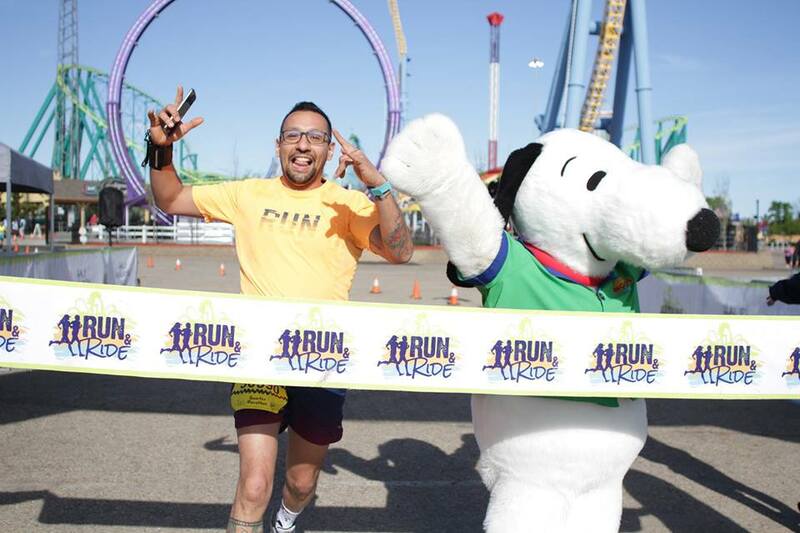 This year’s race is extra special because we are running on Snoopy’s birthday weekend. Experience the park like never before with your choice of a half-marathon, quarter-marathon, 5K, or 1-mile fun run. All these races take place on Sunday, August 11, and best of all the price of the race includes a 1-day ticket to Valleyfair so you can stick around to ride all your favorite roller coasters or savor a delicious funnel cake. Run & Ride has you covered on swag too! All racers will receive a 1-day ticket to Valleyfair, PEANUTS finisher medal, t-shirt, free parking at the park on race morning, post-race snacks, and tons of fun. We know you won’t want to spend the day at Valleyfair alone so we have hooked all runners up with access to discounted park tickets for friends and family.